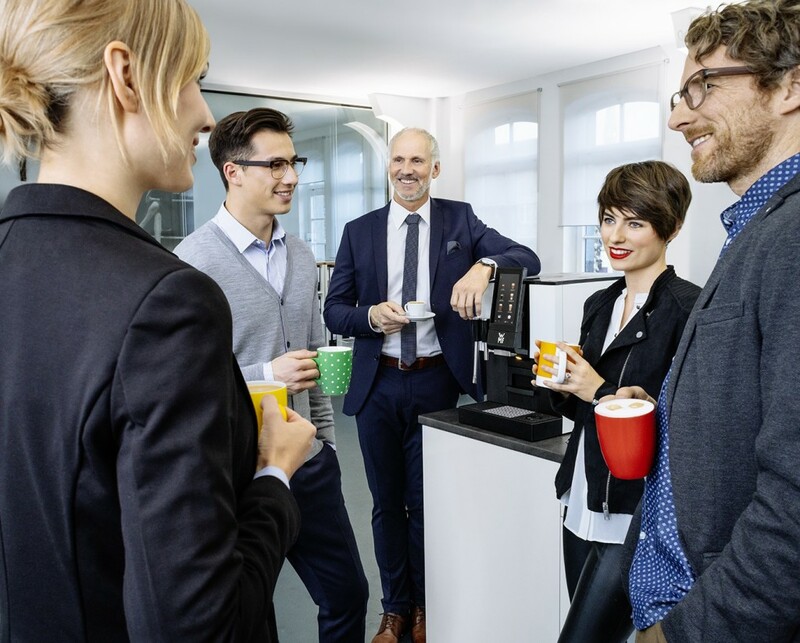 Compact size, easy to use and fantastic drinks; the WMF 1100S is ideal for any workplace requiring a premium compact coffee machine. 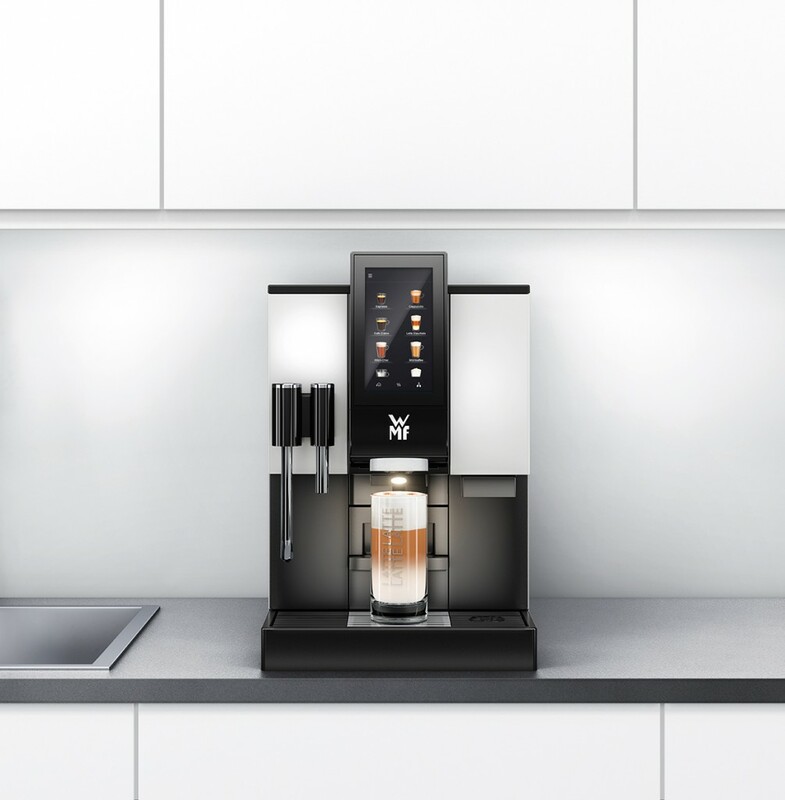 The 1100S coffee machine serves coffee using gastro approved professional technology via its modern touch screen interface. This 1100S will suit any environment – choose from five different eye catching colours to suit your workplace! Download the brochure to see the colours. The WMF 1100S has a vast hot beverage variety including all the favourites and also serves sumptuous hot chocolate. 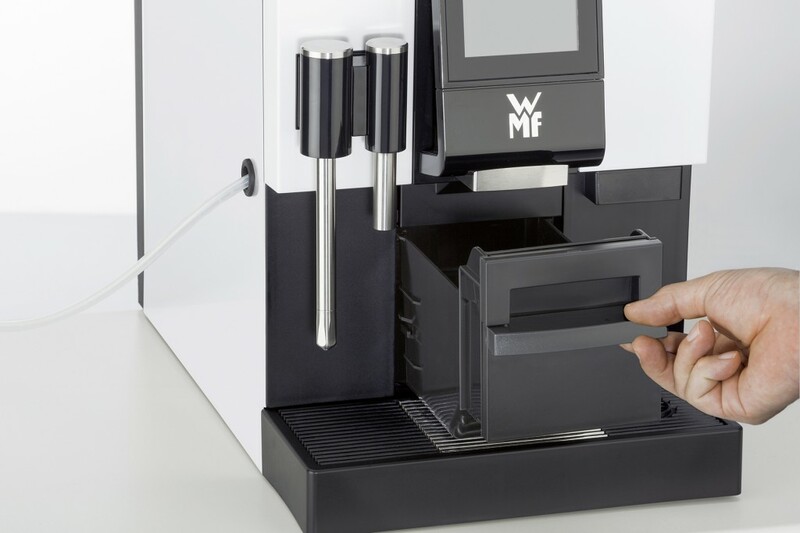 The WMF 1100S is a professional coffee machine, specially geared to the office and a guaranteed wiser investment when it comes to optimal taste, durability and quality. At last, absolutely unanimous agreement and enthusiasm throughout the team on the matter of office coffee. With full-flavoured beverage specialities that are guaranteed to delight guests and customers. From the initial consultation and installation through to account management. All this is reflected in both the reliability of intuitive operation and simplicity of machine cleaning. Just perfect for the office, where everyone needs to use it! 3. Indulgence – your personal kick-starter! Exquisite coffee specialities you can rely on every day in the office. Tastiness guaranteed. Cappuccino perfection for that morning motivation boost or that extra after-lunch espresso kick. 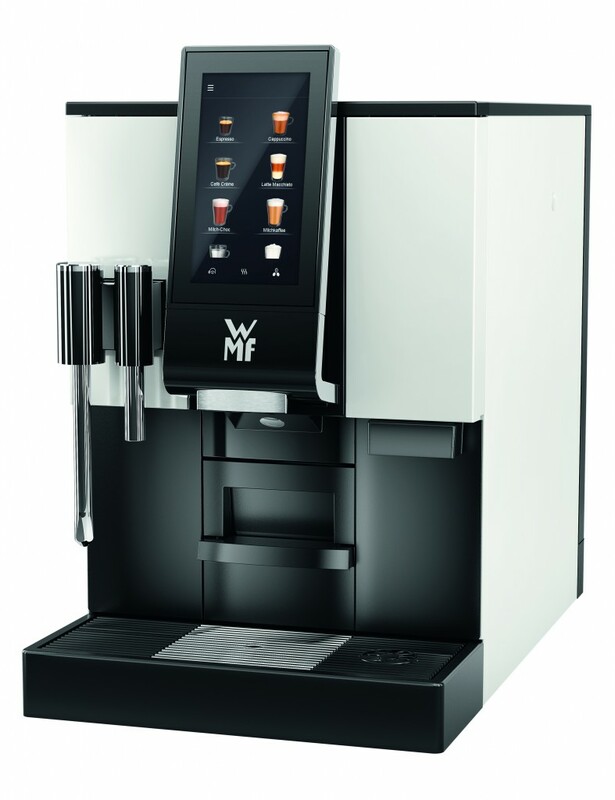 The WMF 1100S offers a huge variety of coffee specialities that leave plenty of room for individual tastes. From the espresso type and latte-lover to the chocoholic and caffeine junkie; the Office All-Star understands all your needs. The intuitively operated user interface makes a wide range of beverages possible at the touch of a button. Uniquely smart: the MyCoffee App for phones and tablets enables favourite recipes to be created and then saved in their own name! Get a quick quote for the WMF 1100s & we'll call you back as soon as we can.